I'd like to start this review with a story: I first saw Labyrinth sitting in my bunk bed on an Air Force Base in Afghanistan. One of my best friends on deployment was obsessed with the movie and was appalled that I'd never seen it! I remember sitting on my bed wondering what in the hell I was even looking at on my laptop screen. Still, something about Labyrinth hooked me. Even though the puppets are bizarre, the music is weird, and Sarah is annoying, the character of Jareth has always fascinated me. When I found out about Wintersong and realized that the Goblin King was going to get a romance, I had to have it! Wintersong is unique because, while it is a retelling of the Goblin King and does sort of feel like Labyrinth, it is an entirely new story. The main character is Liesl and, instead of trying to rescue a baby brother, she is trying to rescue her sister Käthe. In order to retrieve her sister, Liesl must agree to marry the Goblin King and stay with him Underground. But of course, there wouldn't be much of a story if things didn't become a bit more complicated than a quick marriage. Let me be clear, I loved every character in this book. Liesl is the ugly sister, the plain one who has only ever wanted to compose music. She's insecure and unsure of everything about herself and I identified with her so hard! I loved her unsteady strength and independence and her relationship with her siblings. But even more than I loved Liesl, I loved the Goblin King. He remained mysterious all the way until the end, but I loved it. I have always had a thing for love interests who are a little hard to pin down and the Goblin King certainly kept his secrets. Although he has a distinct character apart from the Goblin King of the film, I pictured him as having (younger) Jareth traits and it made the reading experience that much more fun (for me, at least). His story did become more clear towards the end, but I feel like there is still a lot that could be learned about the Goblin King and I'm really hoping for another book! 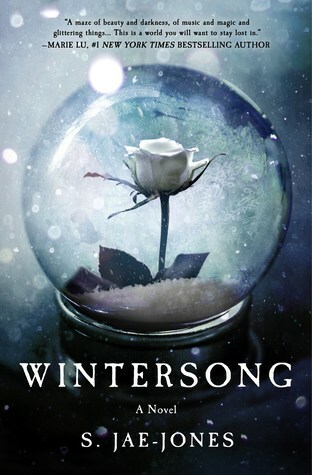 I've seen some mixed opinions on the actual romance of Wintersong, but I have to say that I loved that too! The relationship between Liesl and the Goblin King was tense and a little angsty and their romance was definitely a slow burn. The Goblin King has his own past to contend with, while Liesl is trying to figure out what it is that she wants. I am not usually one to enjoy slow burn, angsty romance, but this one was sweet and perfect. Although this is marketed as YA and the main character certainly fits that category, Wintersong didn't necessarily feel like a young adult book. The writing was heavy and lyrical and, while the romance isn't quite to the level of Sarah J. Maas, there were (thankfully) some bits that you might not find in a typical young adult book. I felt like Wintersong combined the best of both worlds. The ending of this book is also not as clean cut as you may be used to. I've seen that some people didn't love the way it wrapped up, but it definitely left me wanting more! I expected to love Wintersong when I was granted a review copy (thank you, Netgalley!) and I was not disappointed. This is already at the top of my 2017 reads list and I am anticipating that it will stay in my top five. I honestly can't say anything negative! If you're a Labyrinth fan, this is definitely the book for you! Even if you've never seen Labyrinth, though, I think Wintersong is a book that any fantasy lover will enjoy.